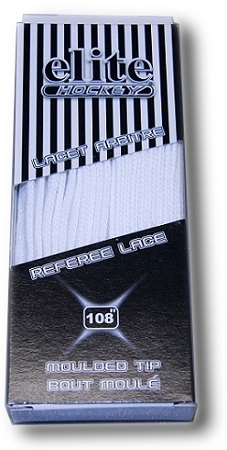 Heavy duty solid white lace (no black stripe) featuring molded tips. 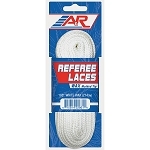 This prevents the ends from fraying after repeatedly threading the lace through the upper eyelets. Comes in its own box with minimal open areas to help keep spare laces clean and white before being used.